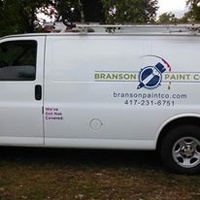 Branson Paint Co. is a full-service Commercial, Retail, Hospitality, and Residential contractor committed to providing quality workmanship on every job. As a locally owned and operated, independent company we understand the value of a job well-done and a satisfied customer. We strive to exceed your expectations by completing even the biggest jobs through the tiniest details. Whether painting your home or business we use our systematic approach on every job so you can go about your day and your business with minimal disruptions or distractions. Branson Paint Company appreciates your business. Branson Paint Co. is fully licensed and insured serving The Greater Tri-Lakes Area. We stand behind the workmanship on every job.